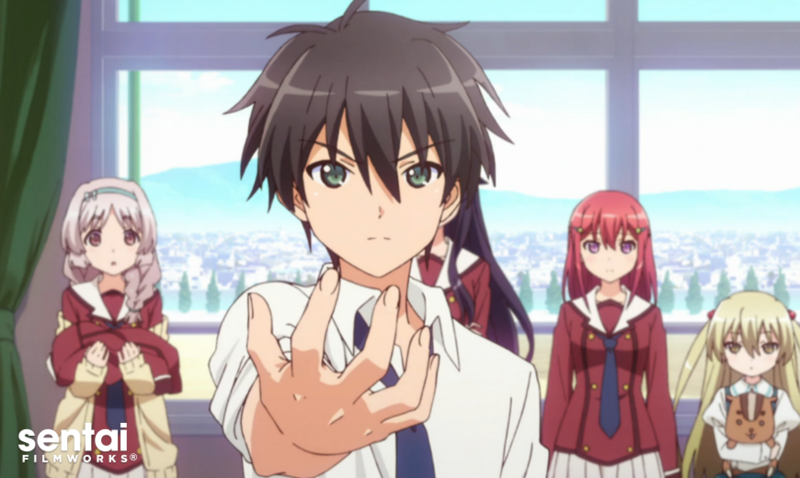 HOUSTON, APRIL 20, 2016 – Sentai Filmworks is proud to announce its latest acquisition, When Supernatural Battles Became Commonplace. One day, a group of four girls and one boy in the literature club experienced an incredible power awakening within them. With that, they dove into an exciting world of high-powered magical battles to defend humanity… or did they? With their daily lives remaining mostly peaceful, they find that they can use their powers fairly wastefully. The curtain opens on a story filled with comedy, love, and, of course, supernatural battles! The anime is based on original work by Kota Nozomi (GA BUNKO/ SB Creative Corp.), with original illustration by 029. Masahiko Otsuka was in charge of series composition, as well as helming the show as chief director. Masanori Takahashi was responsible for directing the series, with Satoshi Yamaguchi in charge of character design. Animation Production was by TRIGGER. When Supernatural Battles Became Commonplace will soon be available through select digital outlets, with a home video release to follow. Sentai Filmworks is a leading global supplier of anime and official anime merchandise, distributing and curating one of the industry’s most diverse libraries of top trending and classic titles. Offering thousands of hours of content across both traditional and digital platforms, Sentai is dedicated to bringing captivating stories and iconic characters directly from Japan. With hit series that include Parasyte –the maxim–, No Game, No Life, Food Wars!, Is it Wrong to Try to Pick Up Girls in a Dungeon?, and Akame ga Kill!. Sentai’s catalog continues to grow with new favorites like Himouto! Umaru-chan and Monster Musume: Everyday Life with Monster Girls, as well as classic anime series such as Legend of the Galactic Heroes. For more information, visit www.sentaifilmworks.com.